Malton Moms: File Your Taxes ! Every Year and By the Deadline- You could be missing out! File Your Taxes ! Every Year and By the Deadline- You could be missing out! 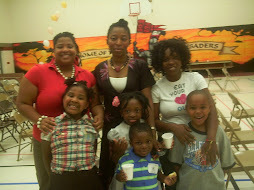 Pin It As many of you know, we here at Malton Moms, are by far a conventional group. :) www.maltonmoms.com might be the last place you might think you would be getting a scolding for not filing your taxes, but you would be wrong. We wanted to post this notice to remind all of you that April 30th is approaching swiftly, in less than 7 days. So, if you haven't visit your tax preparer, and if you dont have one, Bonnie Crombie's office, Malton Neighbourhood Services and even Westwood Mall (through H&R Block) have a tax set up for you. Often, the cost can be taken from the amount you may be entitled to, so there is never any need to worry about up front costs. Filing is very simple these days. Gone are the days where you show up with a shoe box, your life in your hands, and fear in your heart. Any good tax professional can 1) look for all the appropriate credits to ensure you are receiving your money's worth and 2) can help you plan how you can pay the government in instalments should you ever have to owe. I knew someone once who was afraid to file, an innocuous fear real, and didnt file for ten years! When she did, she found out she was owed over $20,000 - which was enough to buy a car and put down on her first house! Now, I cant promise that you will be that lucky, but make sure you do your civic duty and find out if you too, have some positive income flowing towards you soon. You'll soon find yourself saying: "That was easy!" Even if you have no income to report for 2012, you should still file your income tax and benefit return by April 30, 2013 to be eligible for some tax credits and benefits. • Eligibility for certain benefit payments such as the goods and services tax/harmonized sales tax (GST/HST) credit and the Canada child tax benefit is based on information in your yearly tax return. • If you don’t file, you could miss out on benefits and credits you’re entitled to. If you don’t file on time, your benefit payments may be interrupted. • You have until midnight on April 30, 2013 to file your 2012 income tax and benefit return. • Keep any receipts and documentation for at least six years. If the Canada Revenue Agency (CRA) reviews your return, you will need your receipts to support your claims. Why not file online this year? 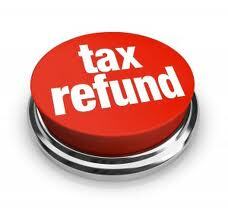 • When you file your return online, you receive your refund faster. When you file online and sign up for direct deposit, you may receive your refund in as little as eight days! For information on how to request direct deposit, go to www.cra.gc.ca/directdeposit. • Filing online is easy. Certified software programs and Web services (some of which are free to use) guide you through the process, do your calculations for you, and ensure you don’t miss out on credits and benefits you may be eligible for. For a list of software and web applications, including free options, go to www.netfile.gc.ca/software. • To file your return online, all you need is your social insurance number and date of birth. • Filing online is secure. The CRA uses the same high level of online security used by Canadian financial institutions.